At 20 years old, the F-22 is still the ruler of the skies. Raptor - 20 years of service. 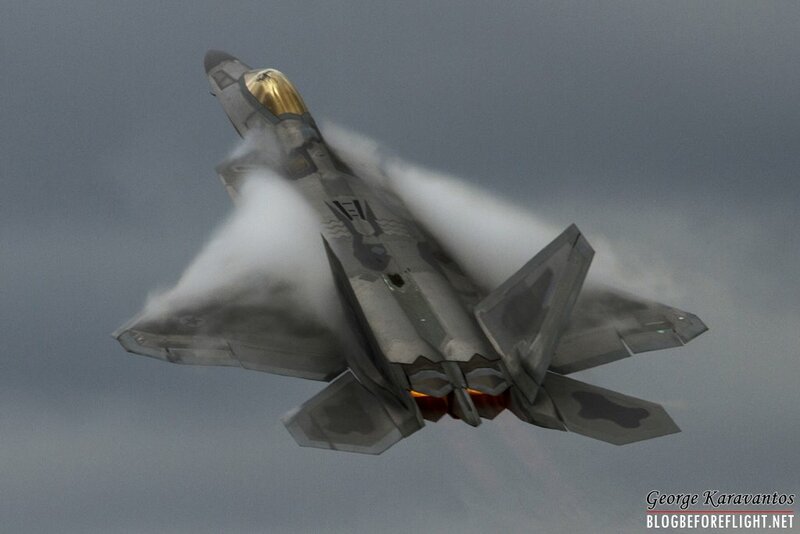 The F-22 Raptor is without any doubt the modern aerial dominator of the military aviation industry. Despite its conventional looks, the F-22 re-wrote the rule book on fighter aircraft. Its combination of stealth, advanced sensor fusion and incredible raw performance made it unbeatable in the modern era. 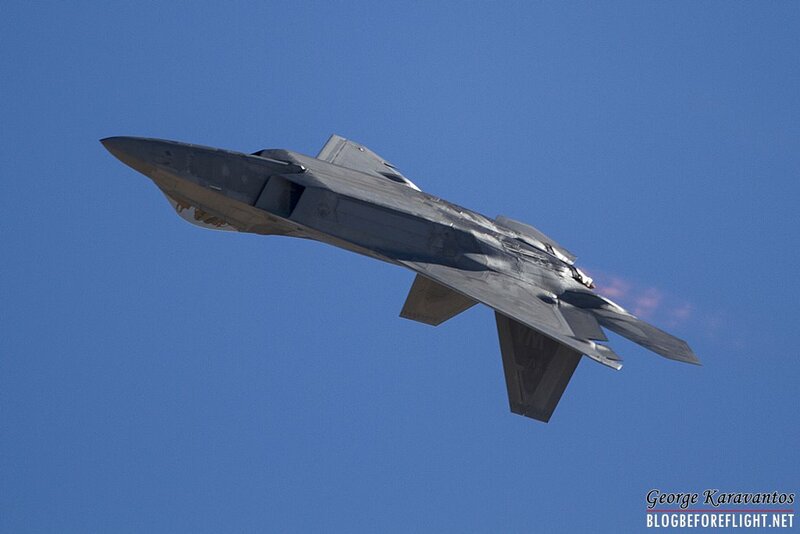 The F-22 was born out of the US Air Force's Advanced Tactical Fighter (ATF) requirement for 750(!) new fighters to replace the Mc Donnell Douglas F-15 Eagle. The first YF-22 (PAV-1, N22YF) performed its first flight on September 29, 1990 piloted by Dave Ferguson. The second aircraft (PAV-2, N22YX) flew one month later, on October 30, piloted by Tom Morgenfeld. 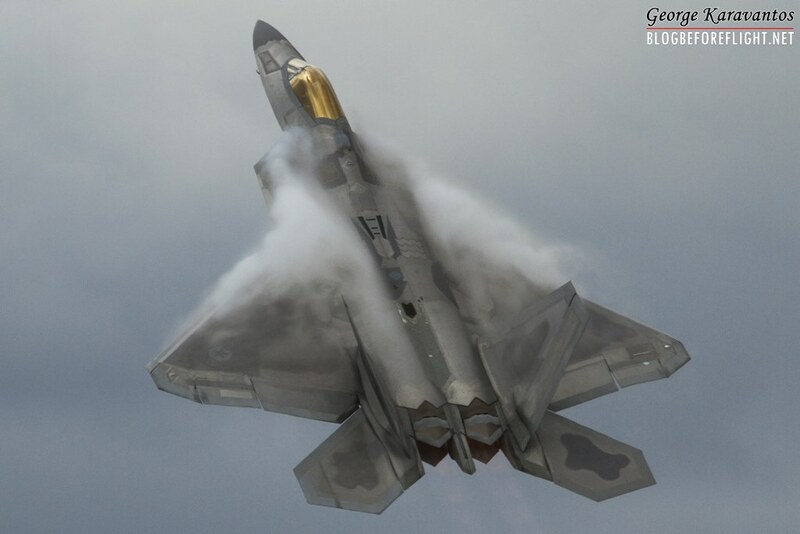 The F-22 along with the Pratt & Whitney F119 engine were finally declared the winners on April 23, 1991. During the initial phases of the ATF program, they had already been introduced many delays. Concerns over affordability had also reduced the production plan from 750 down to 648 aircraft, but much more was to come. 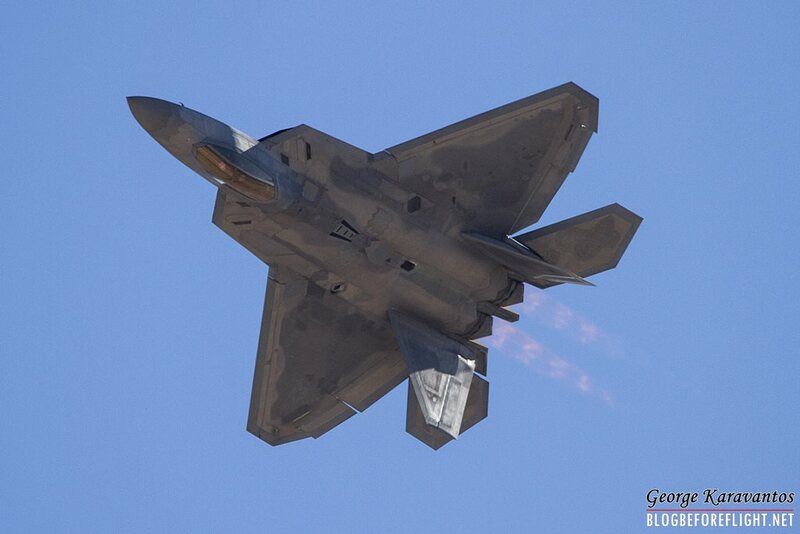 The first production aircraft was rolled out on April 9, 1997, when the F-22 was officially named the “Raptor”. The aircraft performed its first flight on September 7, 1997, with Paul Metz at the controls. By that time the final numbers of the production aircraft had been cut twice, firstly down to 442 in 1994 and then to 339 in the 1997. The first two pre-production aircraft F-22s flew to Edwards and started the Engineering and Manufacturing and Demonstration phase. More aircraft joined the fleet and continued the intensive test programme there. The Edwards test work with the eventual employment of nine EMD aircraft saw the most important milestones of the production and certification programme of the fighter. On the 15th of August 2001, USAF decided to proceed with the production of 10 aircraft. The first F-22A serial 01-4018/TY, was received by the 43rd Squadron, part of the 325th Fighter Wing, at Tyndall AFB, Florida, on September 26, 2003. The development tests were continued at Edwards and when the EMD phase had been concluded, 12 combat ready fighters had been delivered to the USAF. 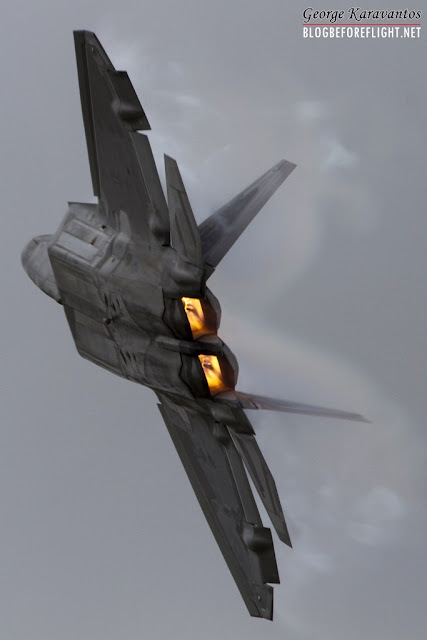 The future of the F-22 when it started entering service was far different compare to the original concept of the ATF plan. From the original need for some 750 aircraft, it finally settled to 195 Raptors, just 187 for the USAF's operational inventory! Full operational capability came on December 12, 2007, as the 1st Fighter Wing was declared ready for combat. USAF fought hard for more aircraft, but ultimately the decision was final and in April the 6th 2009, it was announced that the production of the Raptor was to be terminated. The aircraft undoubtedly lost out of funding the F-35 programme, but it was also a victim of negativism from the USDoD. The final F-22A (10-4195) was rolled out at Marietta on December 13, 2011 and its maiden flight was accomplished on March 14, 2012. In 2007, USAF was starting to declare full operational capability of its Raptors. During the same year, the first overseas deployment took place. Six F-22s of the 27th Fighter Squadron from Joint Base Langley-Eustis, headed west to Kadena, Japan. Another notable event came on November 22, 2007, when F-22s of 90th FS at Elmendorf, Alaska, performed the type's first NORAD interception, this being of two Russian Tu-95MS "Bear-Hs". But the combat debut of the type was when the US military started air strikes on so-called Islamic States (IS) targets in Iraq on August 8, 2014 under the operation "Inherent Resolve". This was the first time that the USAF's super fighter had employed air-to-ground weapons in combat action. The USAF deployed Raptors for the type's first flying training deployment (FTD) to Europe in 2015, almost one year on from its Syrian debut. Four F-22s from the 95th FS "Boneheads" arrived at Spangdahlem, Germany from their home at Tyndall AFB, Florida, on August 28. The Raptors returned back to Europe a year later as they deployed to work with the 48th Fighter Wing at RAF Lakenheath, England. The Raptors increased their presence the following years and flew extensively with the resident 48th FW F-15C Eagles and F-15E Strike Eagles. The F-22A's air-to-air weapons are the AIM-120C radar-guided missile, the AIM-9M infra-red-guided missile and the M61A1 20mm gun. Its precision-strike capability consists of the 1000lb GBU-32 Joint Direct Attack Munition (JDAM) and the 250lb GBU-39 Small Diameter Bomb (SBD) Increment One. A major part of the F-22's lethality is its avionics suite, built around the BAE Systems AN/ALR-94 passive electronic warfare receiver system and the Northop Grumman AN/APF-77 Active Electronically Scanned Array (AESA) radar. The ALR-94 is composed of more than 30 antennas blended into the wings and fuselage to provide 360° coverage and detection for radar signals. Despite its virtues in the air-to-air role, the Raptor does show some notable flaws, especially in terms of limited range and high maintenance requirements. Also the thrust vectoring brings weight penalties, engineering challenges and probably a few stealthy trade-offs. The Raptor pilots still wear the standard flying helmet. Several projects have evaluated a helmet-mounted sight for the F-22, but the design of the canopy restricts head movement when wearing bulky systems. Furthermore, like the F-35, the rear-hemisphere visibility for the pilot is limited. The first F-22 loss came on December 20, 2004, involving a 422nd TES aircraft (00-4014), which crashed on take-off from Nellis. Maj Robert "Shark" Garland ejected safely. The second loss was on March 25, 2009, when USAF veteran and Lockheed Martin test pilot David P. "Cools" Cooley was killed in the crash of EMD Raptor 08 (91-4008) after excessive g-forces which led to a loss of consciousness. After the tragic loss of another pilot, Capt Jeffrey "Bong" Haney on November 16, 2010, when his F-22 (06-4125) of the 525th Fighter Squadron crashed 120nm north-east of Joint Base Elmendorf-Richardson in Alaska (and the lawsuit issued by his widow against F-22's manufacturers), USAF determined that there were some issues concerning the On-Board Oxygen Generating Systems (OBOGS). Indeed, it seemed that some 14 pilots had reported lack of oxygen problems or hypoxia-like incidents, which led to the grounding of the entire fleet of Raptors. The grounding was lifted on September 21, 2011, when the On-Board Oxygen Generating Systems (OBOGS) was rectified. 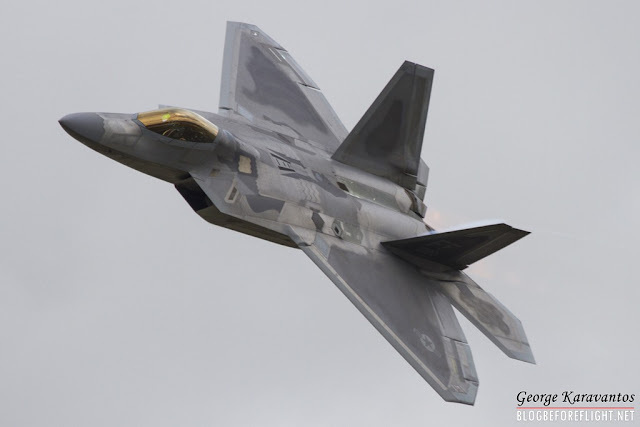 The fourth and last loss of a Raptor came on November 15, 2012 about five miles south-east of Tyndall AFB, Florida after a pilot ejected from an F-22A (00-4013) during a routine training mission. It took literally decades of design and development work to bring the Raptor from its earliest beginnings to the front line Squadrons. Only through continual upgrades can a fighter like this remain relevant. Upgrading the F-22s and later on also the F-35s is the only way for the US to stay ahead in the global air dominance race. Unlike the F-15 Eagle, the F-22 hasn’t been involved in air-to-air warfare. Nevertheless, the F-22 Squadrons are the leading edge of Air Combat Command operations. At least one Raptor unit is always deployed on any kind of operation. This capability comes at a price. It’s up to USAF and its personnel to meet those challenges, keeping the Raptor community at the forefront of USAF air supremacy.